Output Type the word 'yes' to continue, or any other input to abort. The OpenVPN connection will have the same name as whatever you called the .ovpn file. In regards to this tutorial, this means that the connection is named client1.ovpn , aligning with the first client file you generated. Download the OpenVPN client application for Windows from OpenVPN's Downloads page . Choose the appropriate installer version for your version of Windows. To set the OpenVPN application to always run as an administrator, right-click on its shortcut icon and go to Properties . At the bottom of the Compatibility tab, click the button to Change settings for all users . In the new window, check Run this program as an administrator . Each time you launch the OpenVPN GUI, Windows will ask if you want to allow the program to make changes to your computer. Click Yes . Launching the OpenVPN client application only puts the applet in the system tray so that you can connect and disconnect the VPN as needed; it does not actually make the VPN connection. Once OpenVPN is started, initiate a connection by going into the system tray applet and right-clicking on the OpenVPN applet icon. This opens the context menu. Select client1 at the top of the menu (that's your client1.ovpn profile) and choose Connect . Disconnect from the VPN the same way: Go into the system tray applet, right-click the OpenVPN applet icon, select the client profile and click Disconnect . Tunnelblick is a free, open source OpenVPN client for macOS. You can download the latest disk image from the Tunnelblick Downloads page . Double-click the downloaded .dmg file and follow the prompts to install. Towards the end of the installation process, Tunnelblick will ask if you have any configuration files. For simplicity, answer No and let Tunnelblick finish. Open a Finder window and double-click client1.ovpn . Tunnelblick will install the client profile. Administrative privileges are required. 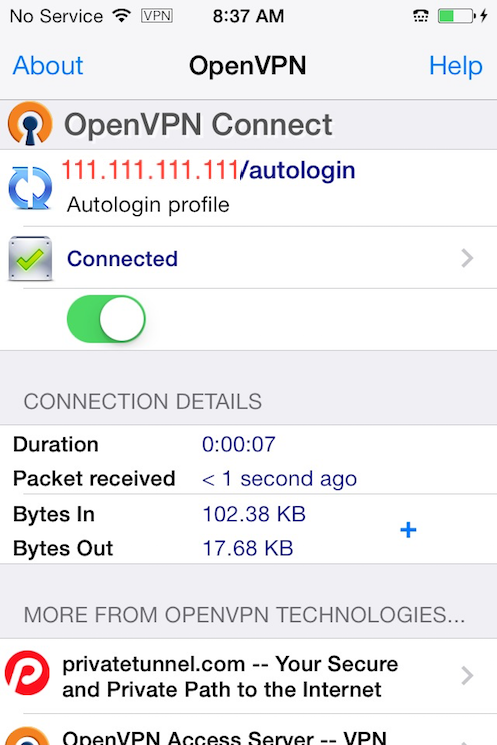 From the iTunes App Store, search for and install OpenVPN Connect , the official iOS OpenVPN client application. To transfer your iOS client configuration onto the device, connect it directly to a computer. The process of completing the transfer with iTunes is outlined here. Open iTunes on the computer and click on iPhone > apps . Scroll down to the bottom to the File Sharing section and click the OpenVPN app. The blank window to the right, OpenVPN Documents , is for sharing files. 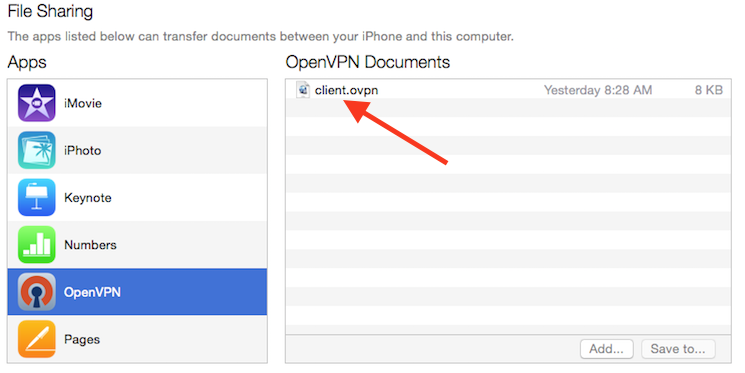 Drag the .ovpn file to the OpenVPN Documents window. 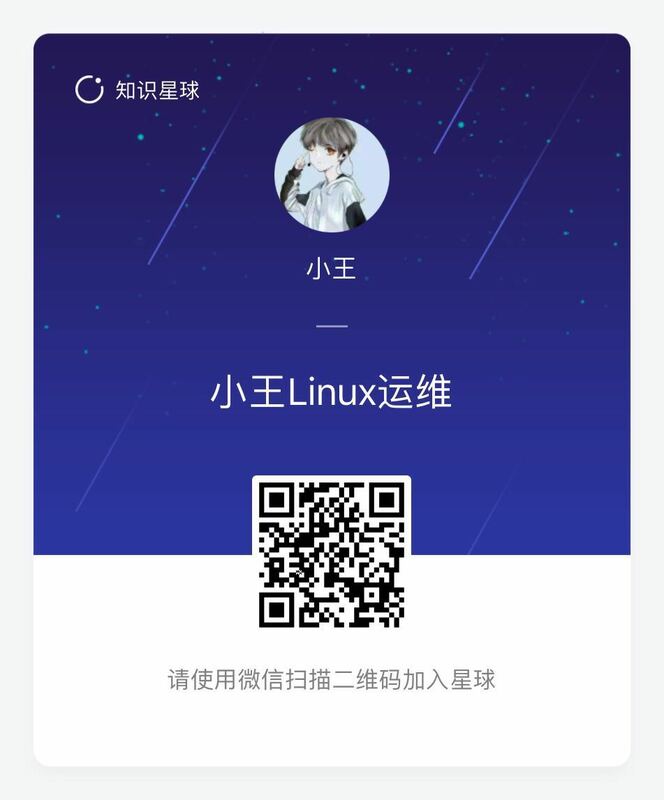 OpenVPN is now ready to use with the new profile. Start the connection by sliding the Connect button to the On position. Disconnect by sliding the same button to Off . Open the Google Play Store. Search for and install Android OpenVPN Connect , the official Android OpenVPN client application. Then navigate to the location of the saved profile (the screenshot uses /sdcard/Download/ ) and select the file. 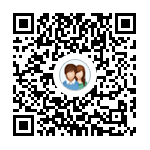 The app will make a note that the profile was imported. To connect, simply tap the Connect button. You'll be asked if you trust the OpenVPN application. Choose OK to initiate the connection. To disconnect from the VPN, go back to the OpenVPN app and choose Disconnect . Once everything is installed, a simple check confirms everything is working properly. Without having a VPN connection enabled, open a browser and go to DNSLeakTest . Now connect the OpenVPN client to your server's VPN and refresh the browser. A completely different IP address (that of your VPN server) should now appear, and this is how you appear to the world. Again, DNSLeakTest's Extended Test will check your DNS settings and confirm you are now using the DNS resolvers pushed by your VPN. To configure more clients, you only need to follow steps 4 and 9-11 for each additional device. To revoke access to clients, just follow step 12 .